We’re Not Horsing Around This Year – Our Spring Collections Are Incredible! 05 Mar We’re Not Horsing Around This Year – Our Spring Collections Are Incredible! Our mills have filled our fabric library with color, bold patterns, and an incredible selection from some of the world’s finest including Marzoni, Guabello, Carlo Barbera, Drago, Holland & Sherry, Gladson, and many more. 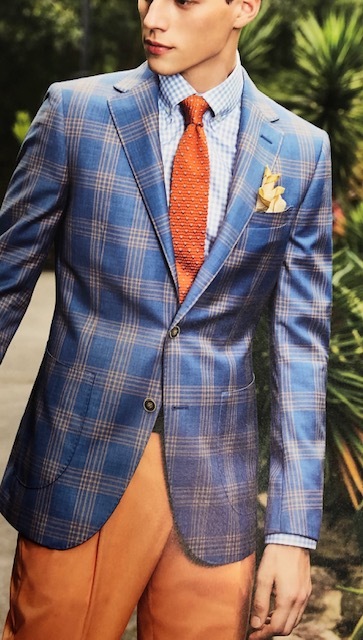 You select the fabric, buttons, lining, pic stitch & design and we will build your custom suit, sport coat, trouser & shirts “just for you”. We’ll give you a perfect fit too! With Kentucky Derby only 66 days away, it’s time to consider your Spring wardrobe. “Giddy up”!